@TheMCluster Did you read the book? @TheMCluster Did you like the book? The mini review below is the result. [ Ender's Game ] and I have a complicated relationship. One Of my best friends has been wanting me to read it for over a decade & I wouldn't just to mess with him. When I finally decided to read it I did it with the specific intent of seeing how the story lent itself to a movie adaptation. It was clear to me that a film adaptation of this story would be VERY difficult 3 chapters in. As a story I did enjoy it & I also got some insight into my friend and his opinion on winning as well. Much of the book happens inside Ender's head which makes it very difficult to translate to on screen action. 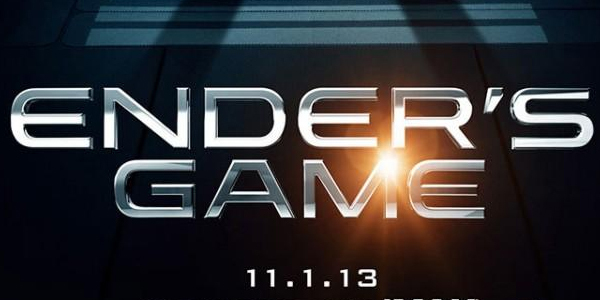 As a movie Ender's Game was pretty, but felt extremely rushed. I feel the acting was fine, but the sacrifices they made in terms of story content really hurt my viewing experience. There is a lot of cerebral story content in the book that was left out of the movie which makes Ender less fleshed out as a character. They also added elements from the 2nd book in the Ender series which just had the effect of leaving me bewildered. In the end I wish I had either not seen the movie or not read the book, although had I not read it I still think I would have felt the story was rushed. There was just too much that felt unexplained and the passage of time seemed untenable.